who really needs a ton of prayer, love, and support right now! I hope this helps in at least a small way to know how much I care! 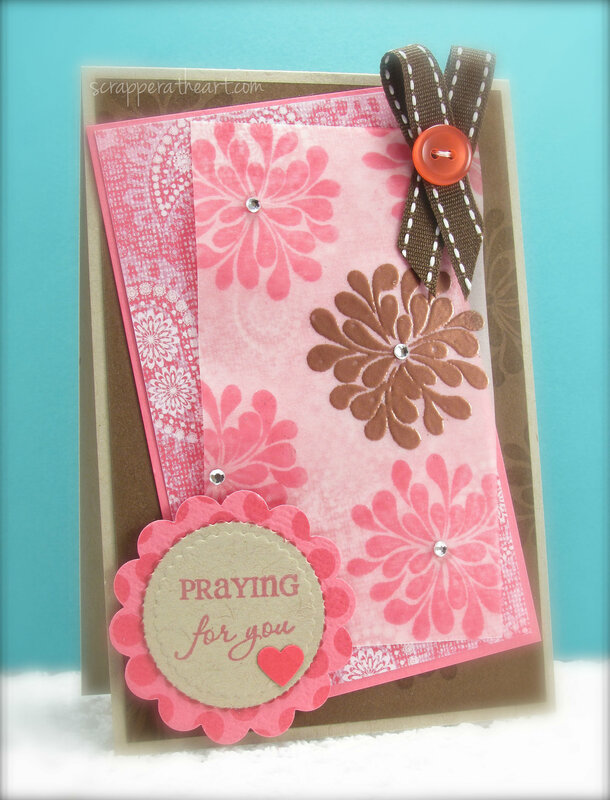 Pink and Brown is one of my all time Favorite color combos! is heat embossed with brown embossing powder. I also stamped the same image on the brown cardstock with versamark. I am entering this card in the following challenges! Their requirements was to use your favorite color combo. Paired them up with this great Sketch from my friend Lesley! 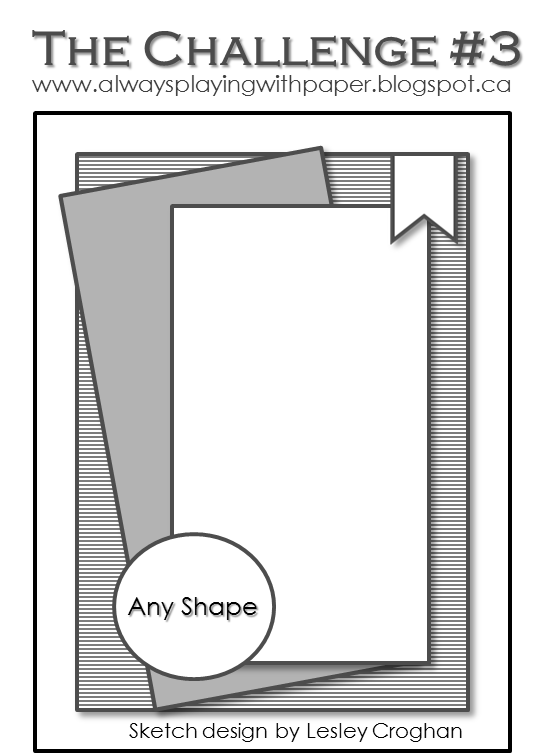 Categories: Cards | Tags: Card making, Cards, color challenge, encouragement, rubber stamps, sketch challenge, stamping, Thinking of you | Permalink. THIS card is a true Treasure and filled with LOVE! You are a Dear Sweet Friend! 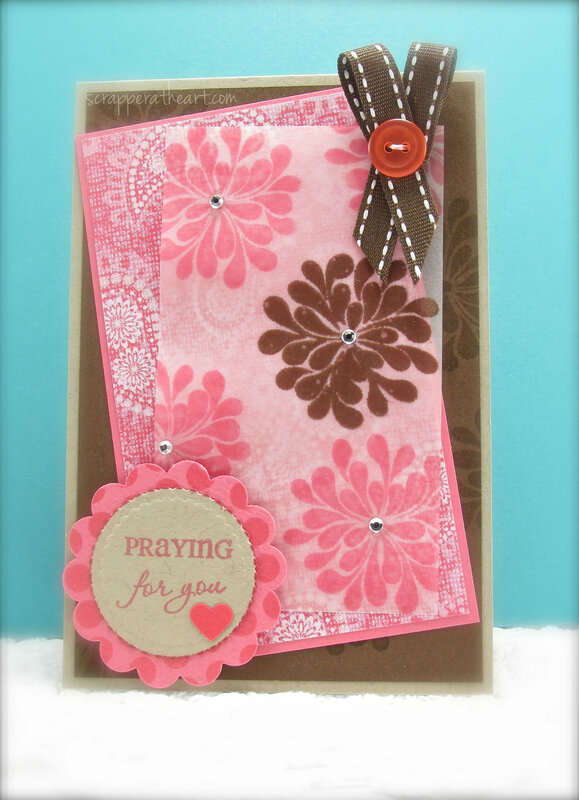 A beautiful and thoughtful card that is sure to bring peace and comfort. 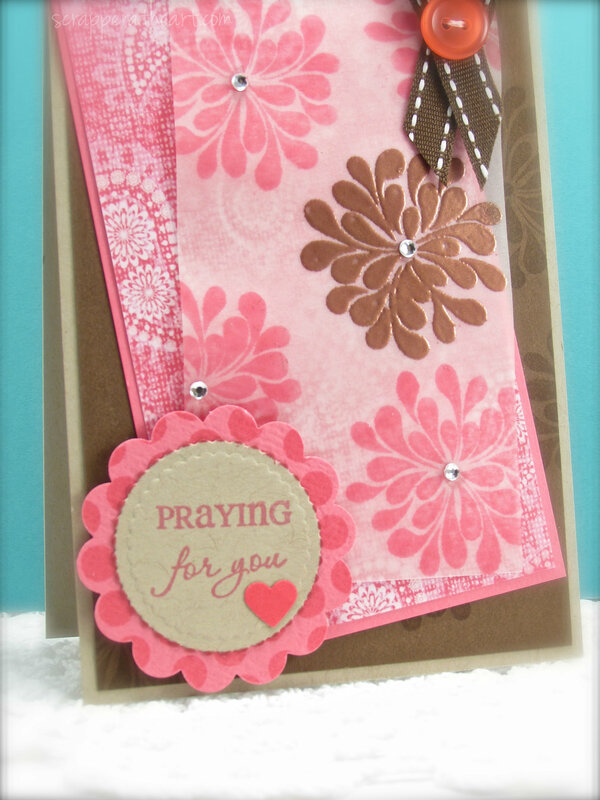 Beautiful card, Nancy…JoAnn will love it!! I love that color combo also. I have been knitting all morning, might take a break to whip up a card for her too. I love Lesley’s sketch…might just use that again too! This is beautiful Nancy and sure to be appreciated. Nicely done. A beautiful card my dear. I am sure your friend will love it too. This is just beautiful Nancy, and I know she will love it! I have been thinking of her and her family every day.